All Youth Leadership Summit delegates pose for a photo after the Final Diplomatic Simulation read-out. 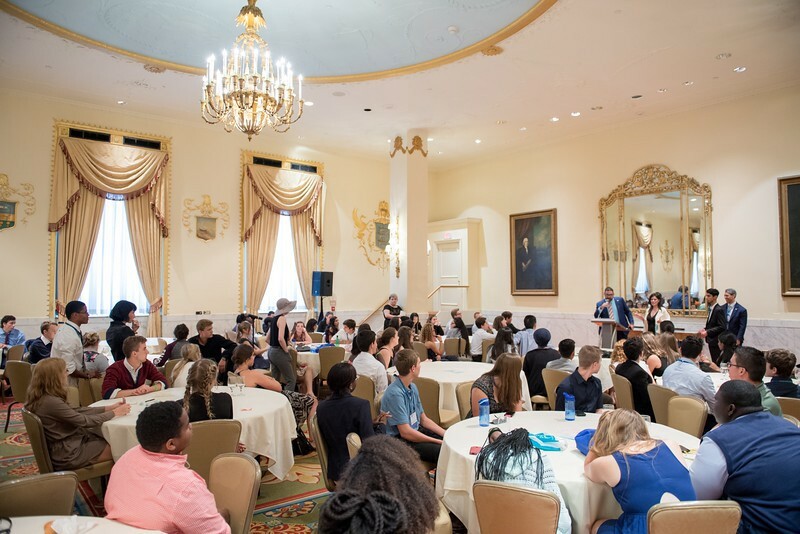 On Wednesday, July 13, students flew into Washington, DC from across the U.S. and globe to celebrate SCI’s largest Youth Leadership Summit yet with 115 participants in attendance. Delegates then checked in to the dorms at the George Washington University for a taste of college life. 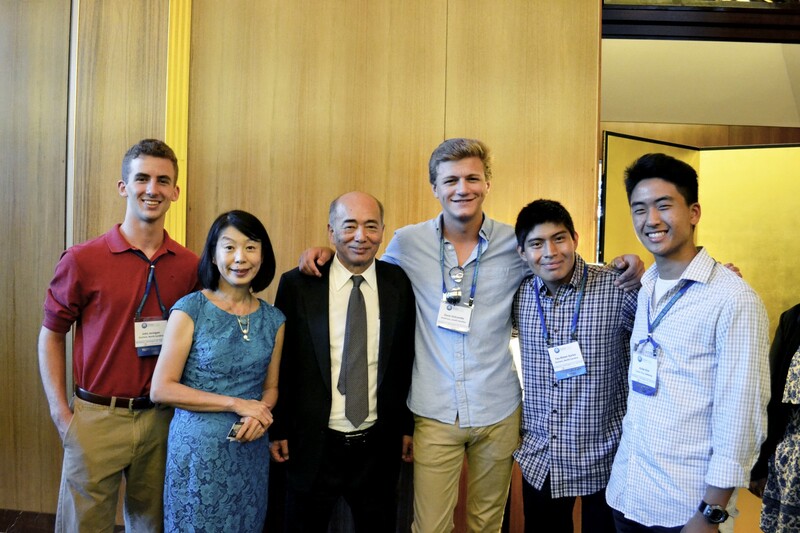 Students take a photo with Ambassador Kenichirō Sasae and Mrs. Nobuko Sasae. (2) The beautiful garden at the Japanese Ambassador’s Residence. That night, students kicked off the Summit with a reception at the Japanese Ambassador’s Residence where youth and adult conference attendees mingled, toured the beautiful Japanese gardens and tea house, ate delicious Japanese cuisine, and took photos with Japan’s Ambassador to the U.S. Ambassador Kenichirō Sasae and Mrs. Nobuko Sasae. On Thursday, delegates visited the U.S. Capitol building and were one of the first groups to visit the recently restored dome. Students were also able to sit-in on sessions of congress and spot a few high profile representatives. 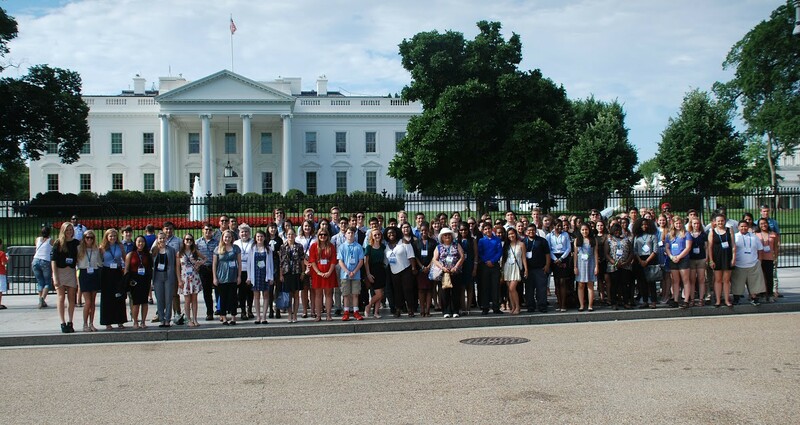 Students visit the White House. The group then split off to visit their pick of Washington, DC’s many Smithsonian museums on the National Mall, and finished the afternoon with a view of the White House. 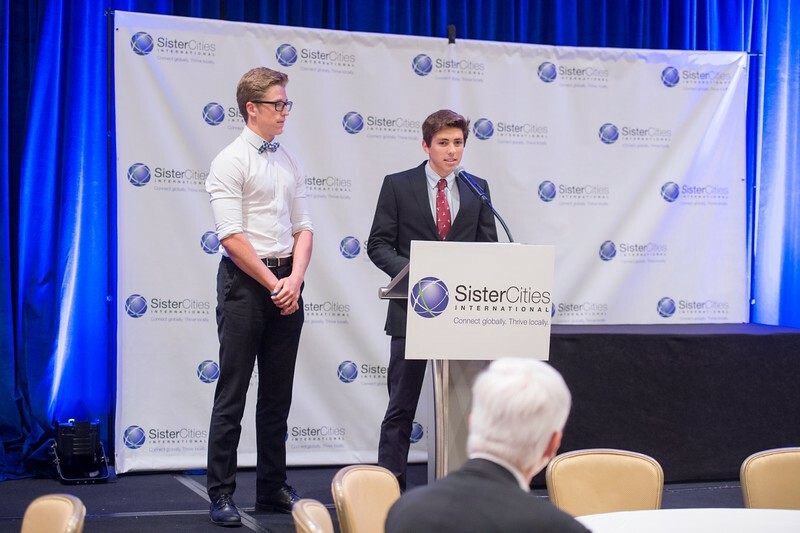 Once again sister cities has produced an amazing experience for all of us youth ambassadors. It’s not every day that high schoolers get to travel to the capital of the United States and participate in such an amazing experience that gives us the confidence and passion to genuinely make a difference in this world. Students march 130 flags around the Ronald Reagan Building’s Wilson Plaza during the Opening Ceremony’s Parade of Flags. 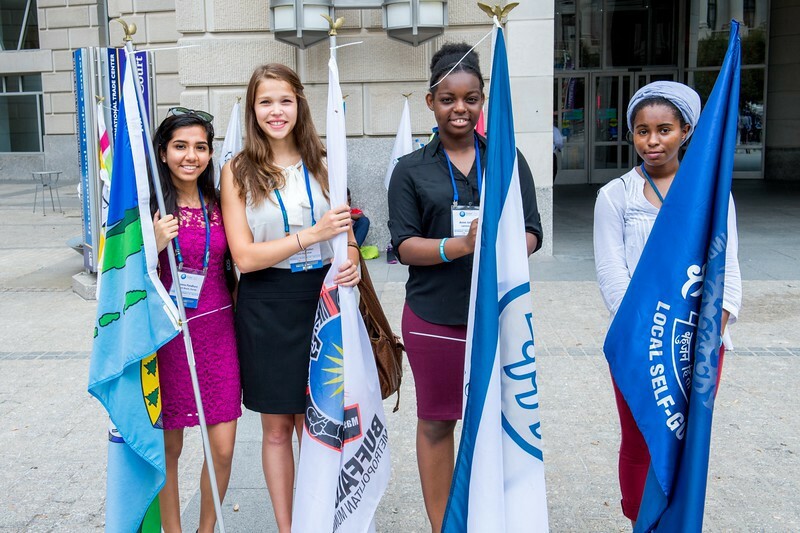 On Friday, youth delegates participated in the Opening Ceremony as they acted as flag bearers for the Parade of Flags with flags from 130 different member cities across the globe. Students break into groups to take part in the U.S. Diplomacy Center’s diplomatic simulation. The group then headed over to the law firm Hogan Lovells to take part in the U.S. Diplomacy Center’s diplomatic simulation. 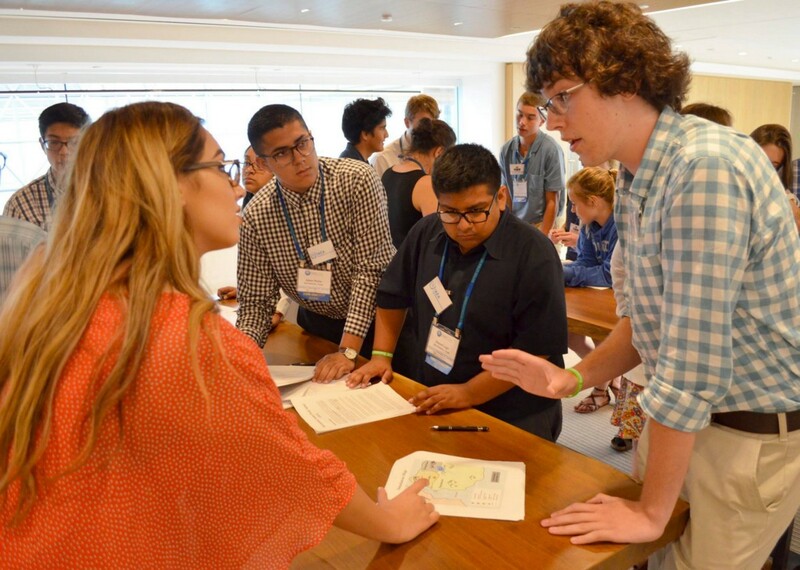 This year’s simulation focused on nuclear non-proliferation. 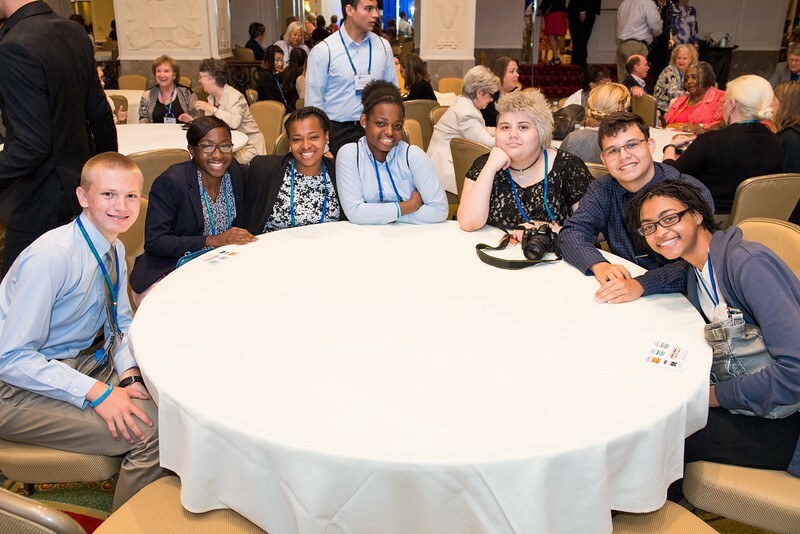 Students learned about nuclear politics from senior scientist Mark Goodman of the International Security and Nonproliferation Bureau at the Department of State, then split into groups and assumed the roles of different actors in an international nuclear negotiation. Though tensions and stakes were high, all groups were able to work together to reach peaceful agreements. We learned how to take the initiative to make conversation, compromise, and strive toward peaceful resolution. That night, the group celebrated their accomplishments at a Nationals baseball game. On their final day, the group attended the Annual Conference including the Breakfast Keynote Foreign Diplomatic Corps Panel with the Ambassadors of Malta, the Republic of Serbia, and Armenia. 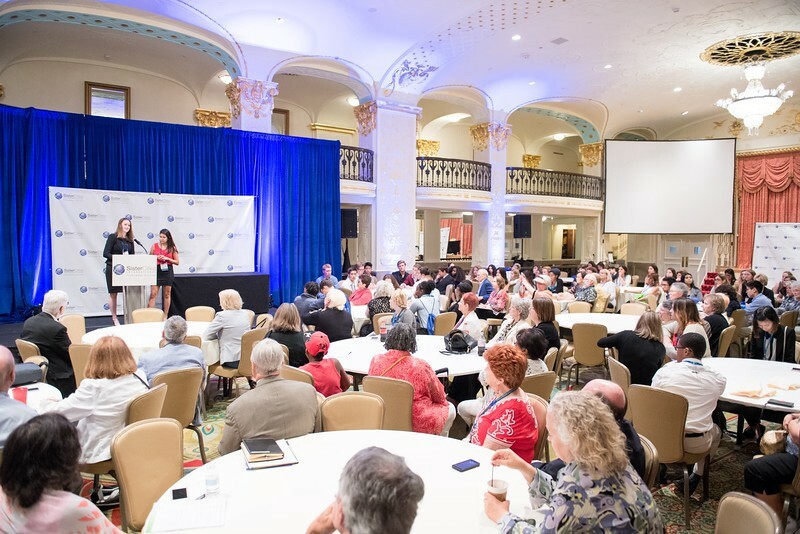 They also heard from elected officials from California and Texas and young professionals in Washington, DC who spoke to the importance of engaging younger generations with sister cities. Lastly, the youth attended the Keynote Luncheon with Secretary Norm Mineta. Students hear from local Texas government officials. The panels were very inspiring and made me want to go back home with a plan to go out and help the communities around me. To close out the Conference, students presented what they had learned during the diplomatic simulation and reflected on their overall experiences during the Youth Leadership Summit. (1) Students get ready to present their outcomes at the Final Simulation. (2–3) Students present their outcomes and thoughts on the Summit as a whole. (1–2) Groups present their outcomes in pairs. 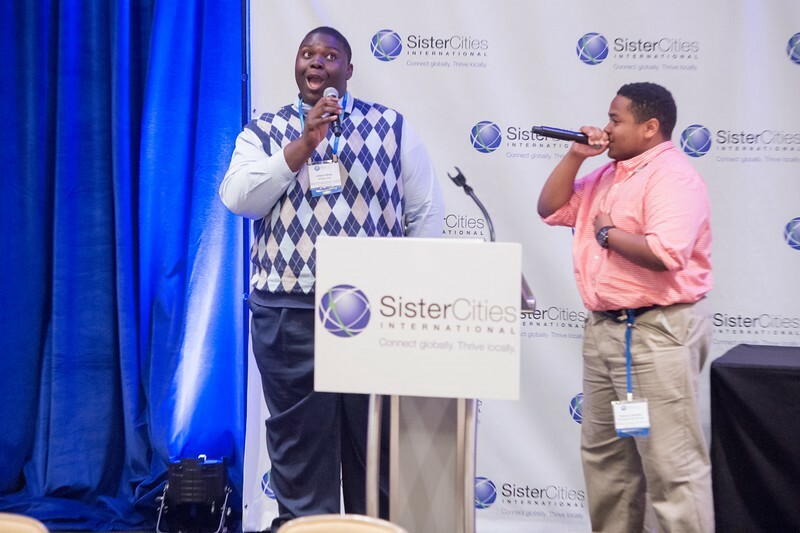 (3) Sister Cities International’s first ever rap battle about the Youth Leadership Summit! YLS was one of the BEST weeks of my life! I have met so many people that are working to achieve if not the same, than a similar goal as me. Speaking with them has opened my mind and shaped the way I think. This has been truly an AMAZING experience. 10/10, would recommend. Over the past four days I have met people from all over the country and we’ve become such great friends in such a short amount of time. This program introduces you to great inspiring leaders and expands your social network. It was an amazing experience. 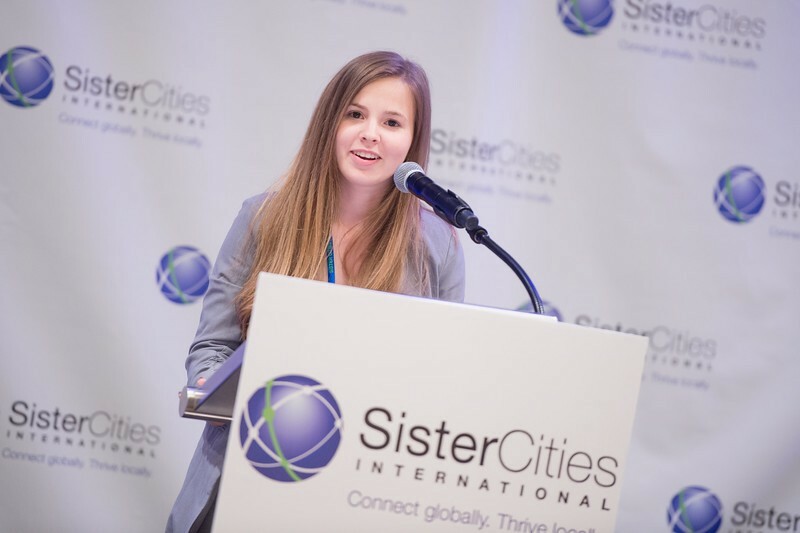 Sister Cities International is the pinnacle of citizen efforts to engage in diplomacy. 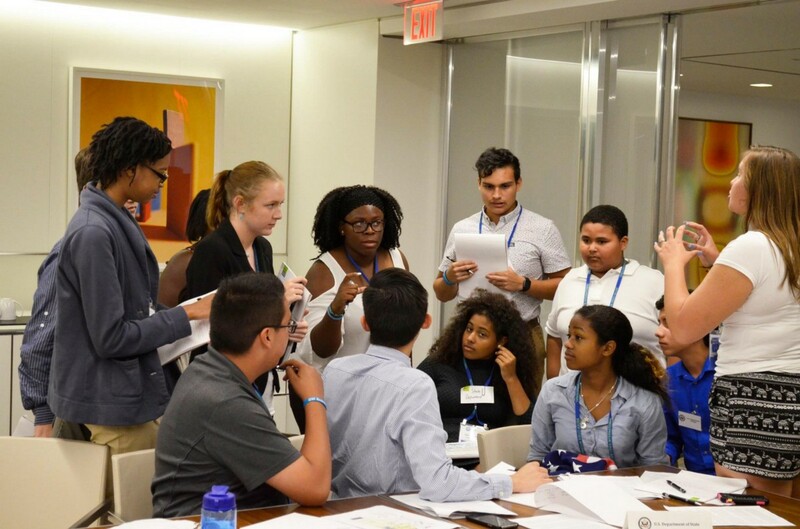 This organization allows the youth of tomorrow to experience elements of domestic government, foreign policy making, the art of diplomacy, and the cultures of our ever changing universe. I am honored to have been a part of this summit. 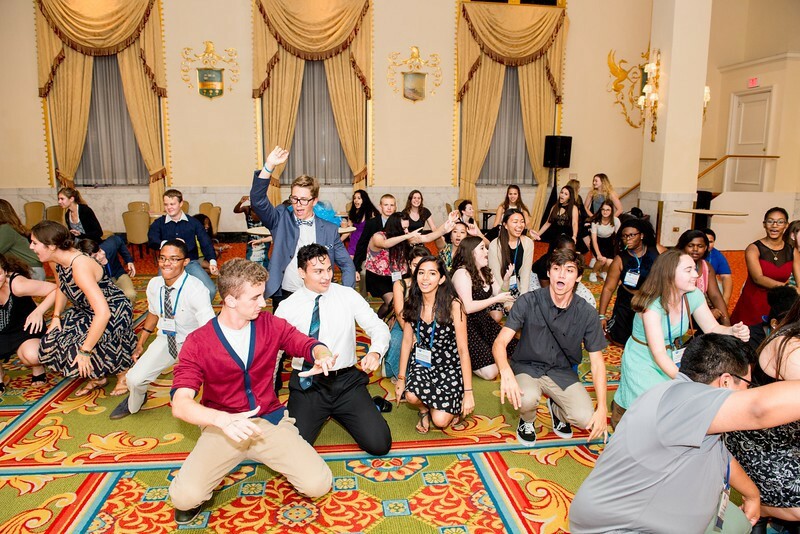 Students dance it out at the end of the Summit! That night, students enjoyed dancing and dessert after the Lou Wozar Diplomatic Awards Ceremony to celebrate their new friendships and connections. 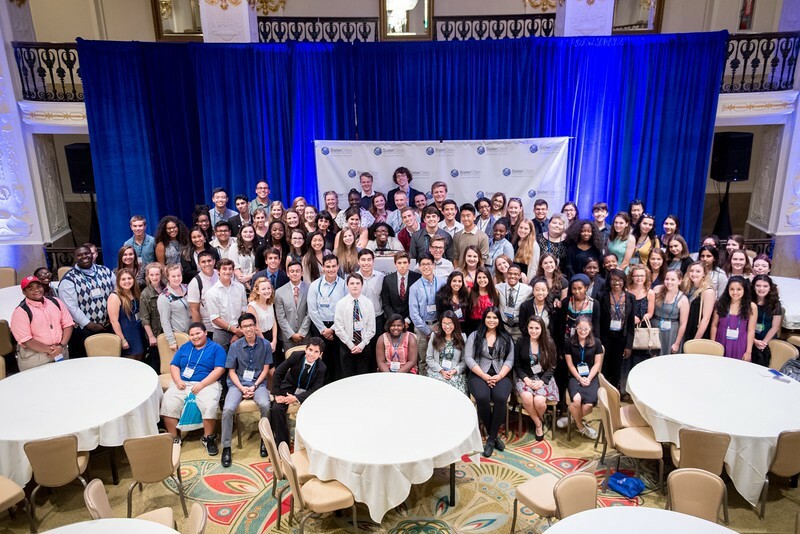 Click here to view all photos from the Youth Leadership Summit. 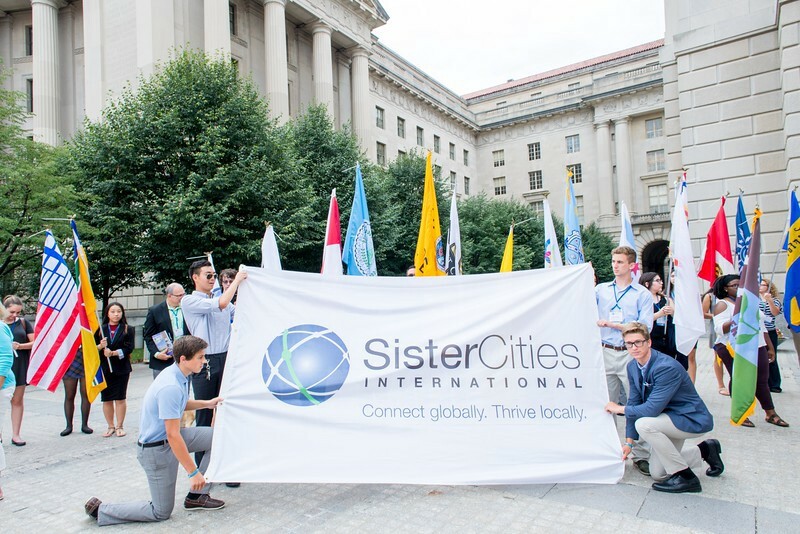 See the top 10 moments from Sister Cities International 60th Anniversary Celebrate here. 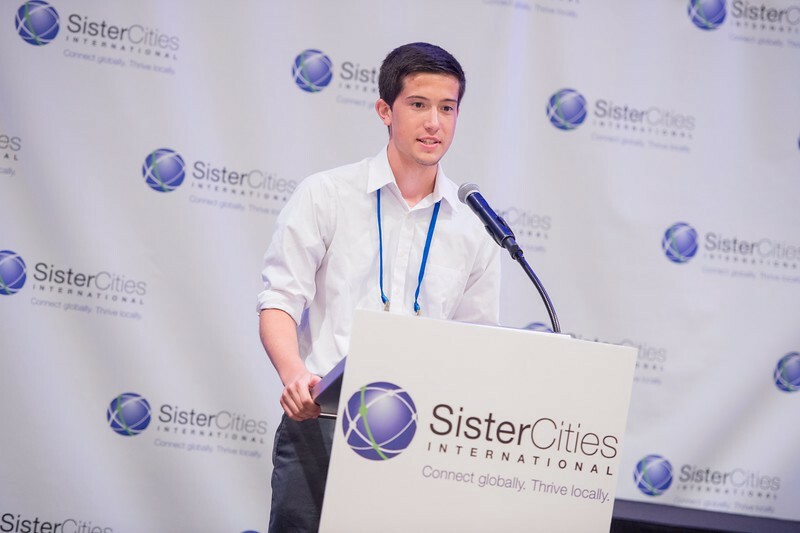 Learn more about the Youth Leadership Summit at http://sistercities.org/YLS.